Established in 1987 by Philip Pinel, Storage Equipment Safety Service Ltd (SESS) is the only completely independent, professional, Rack Safety Inspection Company covering the UK, Ireland and Europe. We specialise solely in the consideration of Safety and therefore provide a unique service; each of our rack safety inspectors, throughout our network, has many year’s experience in the storage equipment industry and all our rack safety inspections are carried out in accordance with BS EN 15635:2008. SESS are respected members of the Storage Equipment Manufacturer’s Association (SEMA) and have individual membership of the Institute of Occupational Safety and Health (IOSH). Since September 1990 SESS have held the quality standards, formerly BS 5750 Part 2, now ISO 9001:2015 Certificate No FS 10668 and in November 2000 achieved the National Standard for Investors in People and have been successfully re-assessed since. 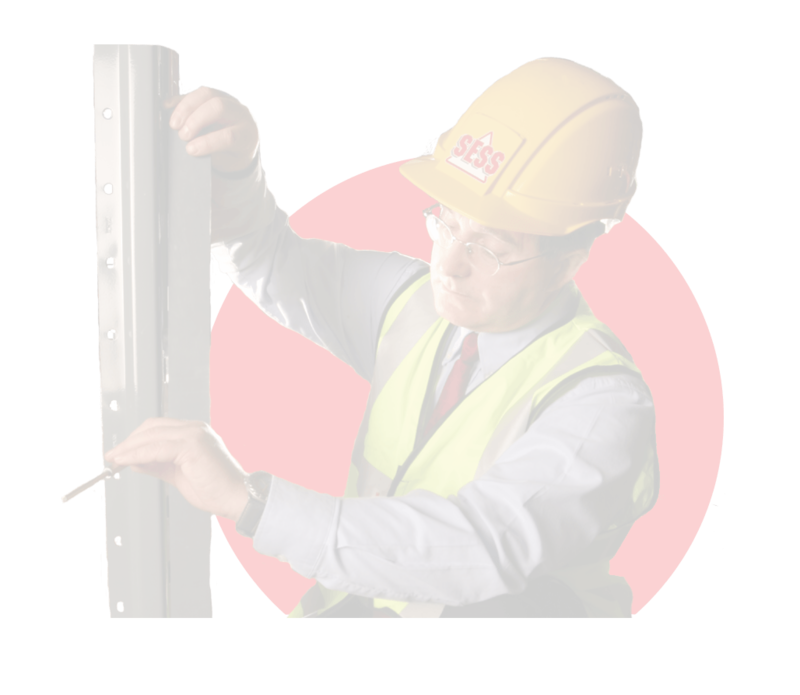 SESS is the only totally independent company in the UK, Ireland and Europe providing rack safety inspections. We have a wide range of clients that include many blue chip companies. The company continues to grow and expand throughout these areas. Rack Safety Inspections are covered by legislation in the UK under the Health & Safety at Work Act 1974, the Provision and Use of Work Equipment Regulations 1998 and the Management of Health & Safety at Work Regulations 1999. In Ireland, Rack Safety Inspections are covered by legislation under the Safety, Health & Welfare Act 2005. In 1990 SESS was the first company to provide a full range of rack related training courses to the industry. SESS are also an approved training centre for IOSH & CIEH.